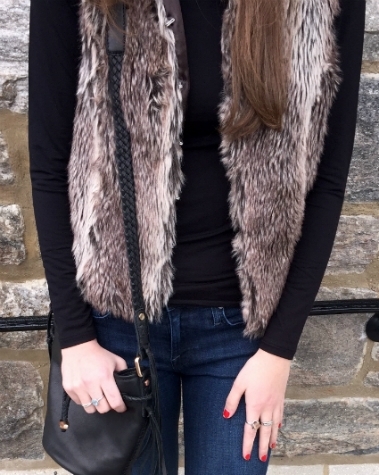 Perfect outfit formula: Chunky ankle booties + fur vest + simple basics. I spotted Isabella on her way to grab some coffee with friends while I was home in New York over winter break. 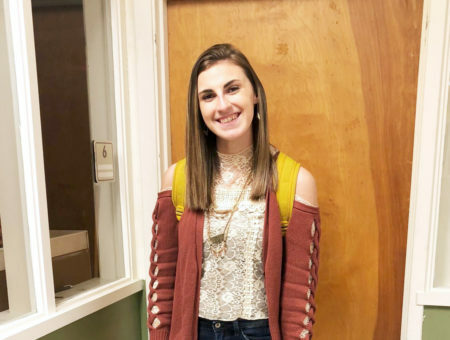 Isabella attends Franklin & Marshall College in Lancaster, Pennsylvania where she participates in an a cappella group on campus and is actively involved with Greek life. 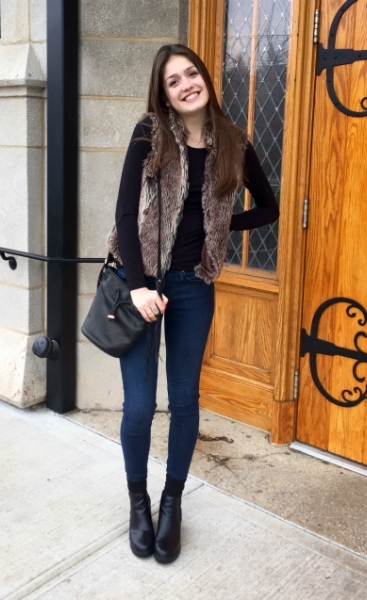 For a simple yet trendy look, Isabella combined basic pieces with a standout fur vest. She added a black leather bag and chunky ankle boots to tie her outfit together. I love her outfit and would definitely wear something like this! 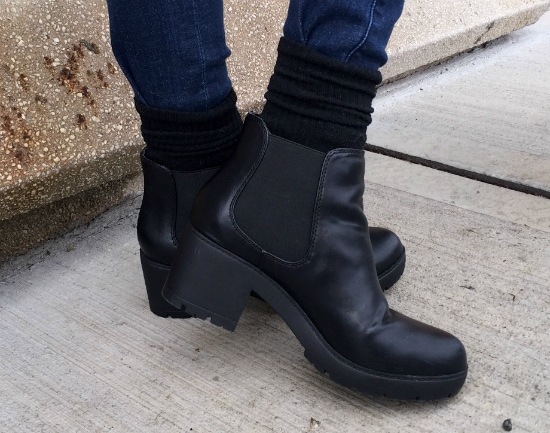 Isabella’s elastic black boots from Steve Madden lengthen her legs and flatter her figure. 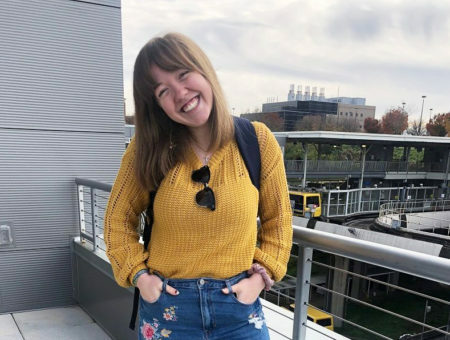 She tucked her dark wash jeans from Current/Elliott into some black socks that not only keep her warm, but also add an extra dimension. With her rings either being passed down from her mother or gifted by friends, Isabella succeeds at combining the various styles. Adding a variety of jewelry to an outfit makes a statement and brings a story to tell. Just the rings alone are a trendy touch to her outfit. 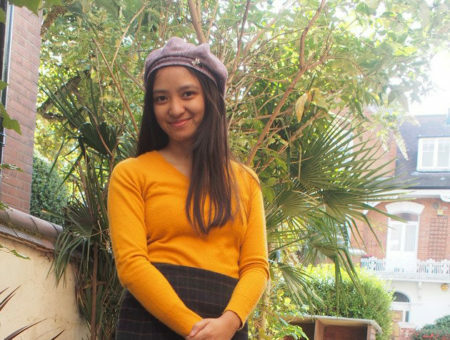 A staple piece in a winter wardrobe, Isabella uses this piece from Italy to complete her look and add some warmth. With the simple black bag from Joie, she ties in her black shirt and black leather boots together to be stylish and practical for her day of plans. Do you love Isabella’s look? 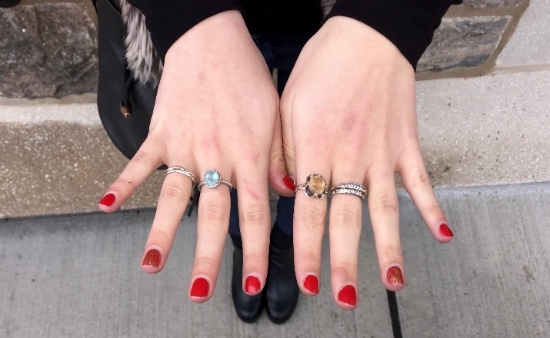 What do you think of her stacked and mismatched rings? How do you wear a fur vest? Comment below and share your thoughts with us! Previous Would You Wear… Rainbow Stripes?